Public Land Corners were originally established by the Federal Government beginning in 1852 to encourage and facilitate the settlement of the Oregon Territory. Since then, the original posts, stones and other objects set as monuments have been damaged or destroyed. 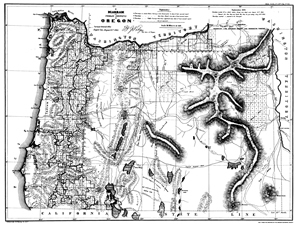 The Federal Government delegated the function of maintaining these vital corners to the State of Oregon upon statehood. The state, in turn, delegated the function of the Public Land Survey System to the County Surveyor of each county. Since the boundary of all lands privately or publicly owned within the state are directly or indirectly affected by these corners, it is imperative that they be maintained in the most prudent manner. That is the function of Public Land Corner Section of the County Surveyor’s Office.